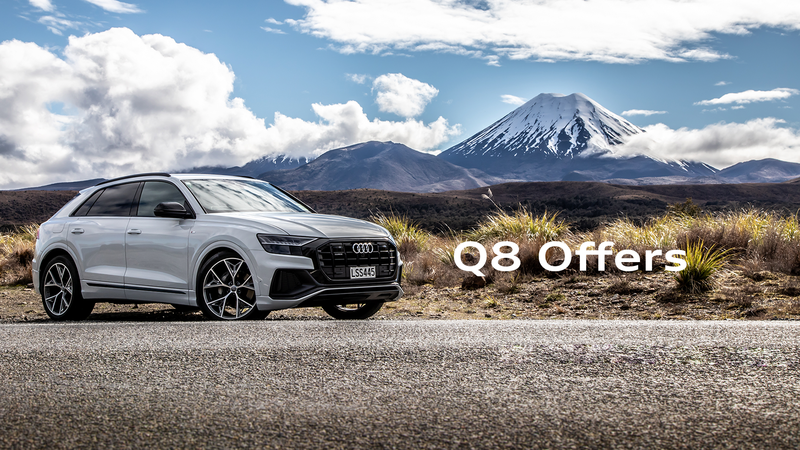 Savings on the Audi Q8. Now priced from $139,900. 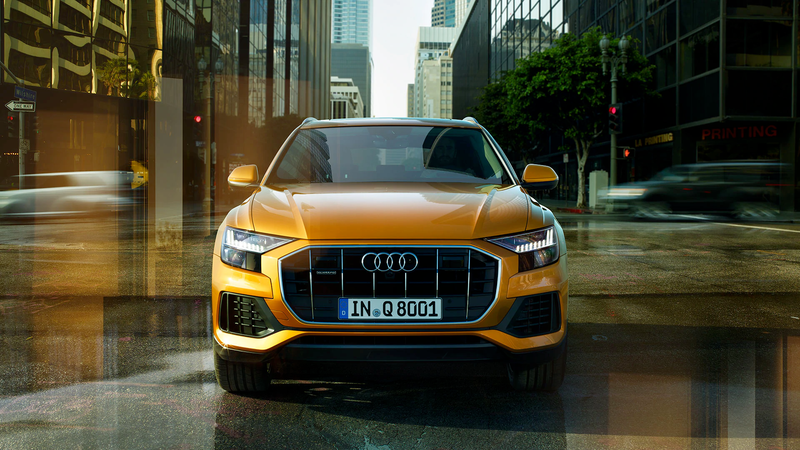 We have a selected range of Audi Q8's with exceptional savings! Sporty driving experience: driving dynamics and motor. The purely mechanical center differential transfers the forces to the front axle and rear axle at a ratio of 40:60 as standard. When required, it transfers the majority to the axle with the better traction. Besides the standard progressive steering, whose steering ratio becomes increasingly direct the further the steering wheel is turned, Audi also offers all-wheel steering as standard. It can turn the rear wheels as much as 5 degrees – counter to the direction of the turn at low speeds to increase agility and at higher speeds in the direction of the turn for better stability. All drive systems are particularly efficient thanks to the new mild hybrid technology (MHEV). 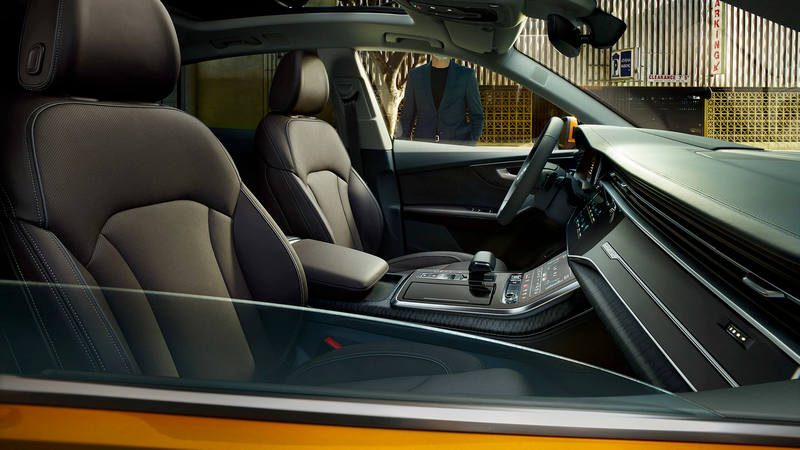 Clarity is the new premium: the interior. Easy-to-understand symbols stand for the digital precision from Audi and for the high level of integration of architecture and operation. The central element is the top MMI touch response display. With its black – panel look, it almost dissolves into a large, black surface when switched off. All elements refer logically to one another, from the flat air vent strip to the wide console on the center tunnel bearing the tiptronic selector lever. Options including customized contour seats with massage function and ventilation, four-zone automatic air conditioning and the air quality package further enhance the elegant ambience. Enquire about the Q8 offers! For more information or to book a test-drive please fill in your details and a sales person will be in touch.